The content of this article made it quite a challenge. 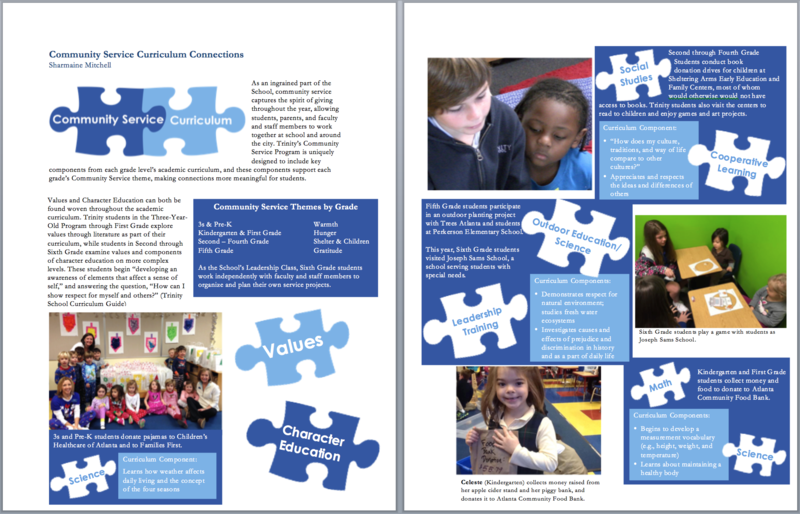 The goal was to convey to readers the reasons behind the community service projects for each grade level at Trinity School, how each project directly correlates to curriculum objectives. 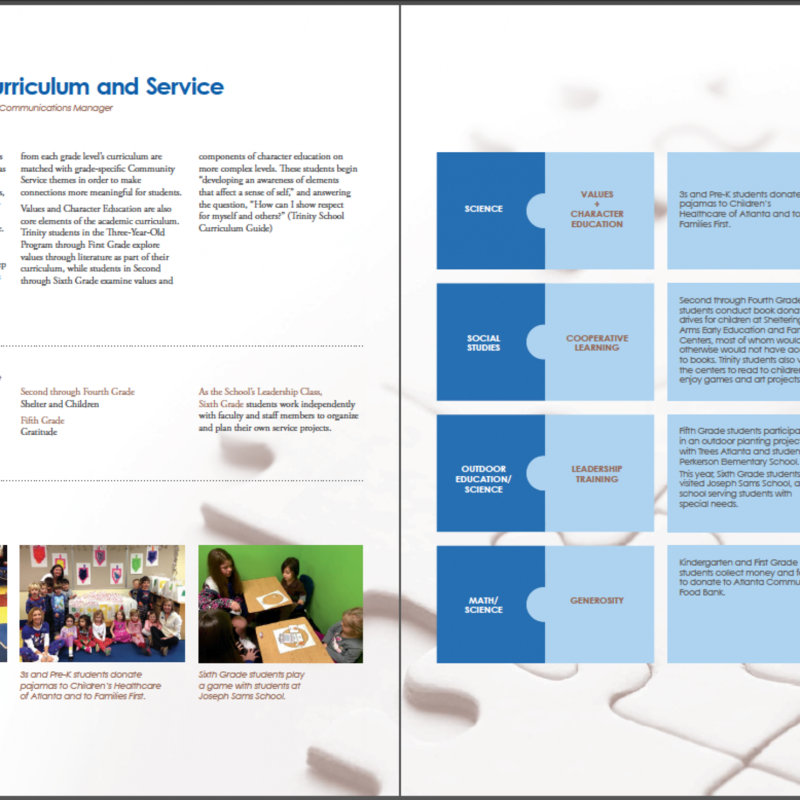 I made the decision to incorporate the use of graphics (puzzle pieces) to convey the idea that it’s all connected: the community service program and the academic curriculum. The final piece somewhat went in the direction of this idea, and although it’s visually a little more streamlined, some of the content has a different message. 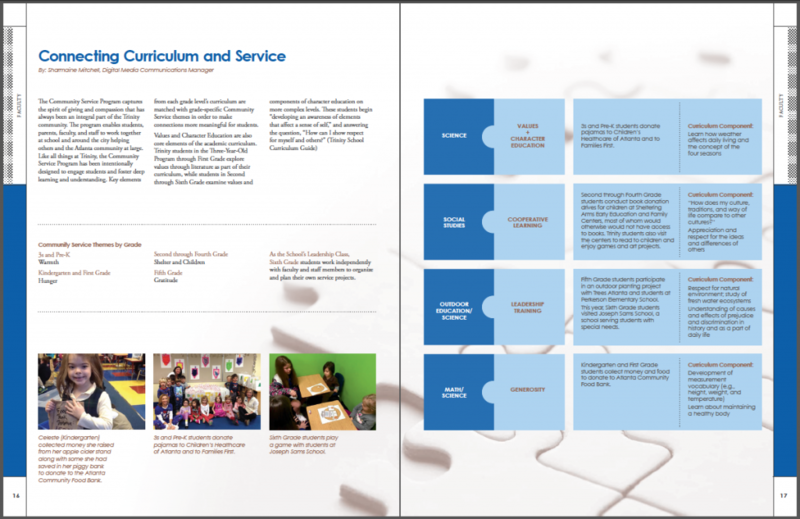 Upon review, I didn’t feel it necessary to submit additional revisions, as I understood the intention (visually). But I would have preferred, for example, for “Values” and “Character Education” to stand out as they do in my original piece, as they encompass all of the projects.